Soon you'll be able to buy an American-made Kalashnikov. 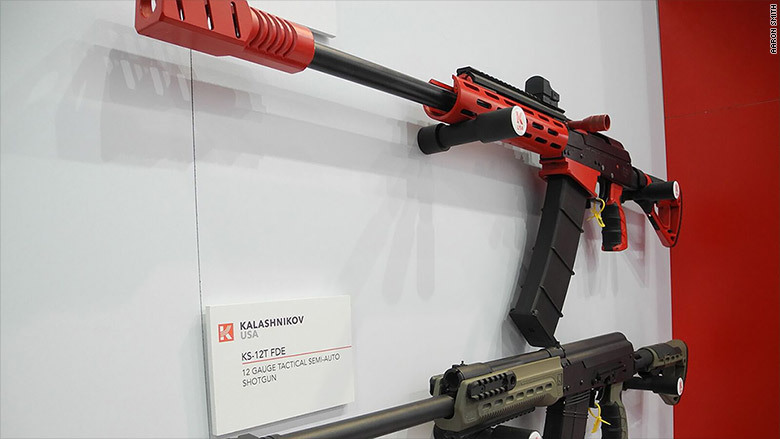 Kalashnikov USA, which split from its Russian parent company three years ago, will start selling a semiautomatic 12-gauge shotgun called the KS-12 in February, CEO Brian Skinner told CNNMoney. The gun is being produced at a new factory in Pompano Beach, Florida, and will probably cost at least $750. Skinner said the company is still trying to determine the price, which depends on the cost of manufacturing. "These are the first U.S.-made guns going out the door," he said at the SHOT Show in Las Vegas, an annual gun industry conference. Later this year, the company will start selling a semiautomatic 9-millimeter pistol, with a carbine version to follow. Kalashnikov USA also has plans to offer the KR-103, described as a version of the AK-47 that made Kalashnikov famous, this year. "That'll be the bread and butter gun," said Skinner, who took over in 2015. "That will be the main AK." The company employs 40 people at the 40,000-square-foot factory in Pompano Beach and is looking to hire more, including assemblers, painters, junior gunsmiths and junior engineers. The AK-47 was invented for the Soviet military by Mikhail Kalashnikov under the direction of Josef Stalin. It became the most popular assault rifle in the world, favored by the Russian, Chinese, Iraqi and Afghan armies, as well as ISIS, the Taliban, Somali pirates and some American gun enthusiasts. Kalashnikov USA will sell American-made versions of the AK-style rifle called the KR-103, which will look similar to the ones photographed here in 2016. AK-style knockoffs are manufactured around the world, including in the United States. But Kalashnikov USAs will carry a brand prized by gun collectors. Kalashnikov USA was established as an American importer for the parent company in Moscow. The American company severed its ties in 2014, after President Obama imposed sanctions on Russia for invading Ukraine. 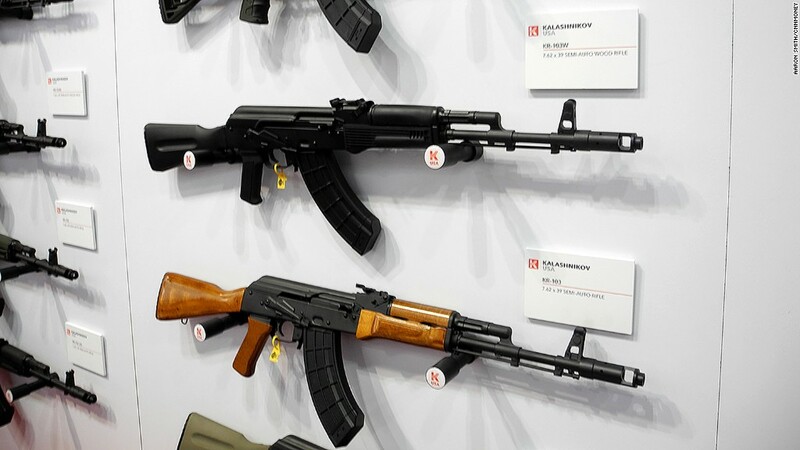 This put an end to imports from Russia, so Kalashnikov USA decided to become a manufacturer instead of an importer, and established the Florida factory. Kalashnikov USA will start selling American-made versions of KS-12 shotguns, which will look similar to the ones photographed here in 2016. The company planned to sell American-made guns in 2015. But Skinner said the company ran into trouble manufacturing them. "They never released anything that was U.S.-made," said Skinner. "They were Russian made guns that were converted." He said that when he became CEO, he replaced most of the staff as well as equipment and inventory, and relocated from Pennsylvania to Florida to manufacture a new line of guns, starting with the KS-12.